A passenger elevator is designed to carry people and small packages. Passenger lift capacity is related to the available floor space. 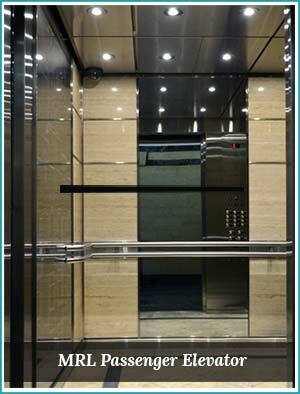 Passenger elevators may be specialized for the service they perform, including: Hospital emergency (Code blue), front and rear entrances, double decker, and other uses. Residential lifts may be small enough for one person while some are large enough for more than a dozen. Wheelchair, or platform lifts, a specialized type of elevator designed to move a wheelchair 6 ft (2 m) or less, often can accommodate just one person in a wheelchair at a time with a maximum load of 750 lb (340 kg). Cars may be ornate in their interior appearance, may have audio visual advertising, and may be provided with specialized recorded voice instructions. A passenger lift can be made to order as per space utilized. Generally passenger lift are available in capacities from 1,000 to 6,000 lb (455 to 2,727 kg) in 500 lb (230 kg) increments. Generally passenger lift in buildings eight floors or less are hydraulic or electric, which can reach speeds up to 200 ft/min (1.0 m/s) hydraulic and up to 500 ft/min electric. In buildings up to ten floors, electric & gearless elevators are likely to have speeds up to 300 ft/min to 500 ft/min (2.5 m/s), and above ten floors speeds begin at 500 ft/min (2.5 m/s) up to 2000 ft/min (10 m/s). In case there are emergency situations where the passenger is entrapped in the cabin, then have communication connection to an outside 24 hour emergency service is warranted with features like automatic recall capability in a fire emergency, and special access for fire department use in a fire. A passenger lifts are not an acceptable means of escape during a fire and should not be used by public for this purpose. Residential Elevators don't cost as much as you may think. 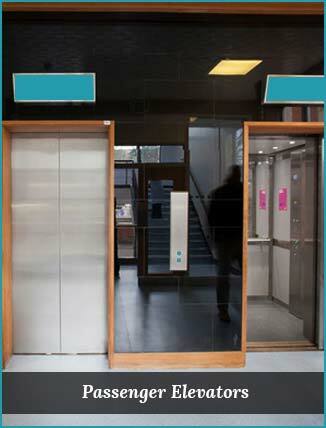 Residential Elevators are available in many finishes including beautiful hardwood. Residential Elevators are an efficient use of land. Residential Elevators increase the value of a home as much as 10%. Residential Elevators can also be useful to anyone who frequently moves laundry or groceries between the floors of a house. Residential Elevators, these days blend completely without disturbing your home decor. Residential Elevators don't even disturb your home foundation as they rest on the floor of your home, even an elevator pit is unnecessary. Machine-room-less elevators include machinery and equipment into the hoistway or closets, doing away the need for a separate machine room. Designed for buildings between two and 30 stories,Elevators for office this system employs a smaller sheave than conventional geared and gearless elevators. The reduced sheave size, together with a redesigned machine, allows the machine to be mounted within the hoistway itself - eliminating the need for a bulky machine room on the roof. The machine room-less elevator is the result of technological advancements that often allow a significant reduction in the size of the electric motors used with traction equipment. These newly designed permanent magnet motors (PMM) allow the manufacturers to locate the machines in the hoistway overhead, thus eliminating the need for a machine room over the hoistway. This design has been utilized outside the USA for at least 15 years and is becoming the standard product for low to low-mid rise buildings. 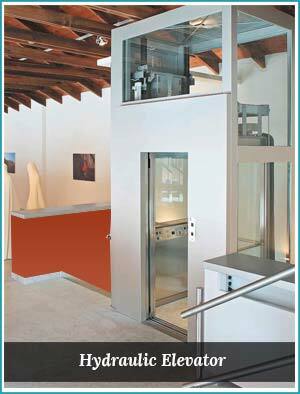 Machine-roomless elevators are ideal for a variety of applications. Using MRL elevator saves a significant amount of energy (estimated at 70-80%) as compared to hydraulic elevators. The power feeders for the MRL are also significantly reduced due to the more efficient design and the counter-balancing provided with traction equipment. The MRL elevators reduce the cost and environmental concerns associated with a buried hydraulic cylinder filled with hydraulic oil. MRL elevator being a traction elevator with all its components above ground, this is not a concern for this equipment.